ANY new business involves risk. The proportion of new businesses that fail within their first two years of operation is much higher than those that succeed. Whether you can afford the risk of your business failing depends on your own individual circumstances. If you are continuing in full-time paid employment and your business is something you start in your spare time for a little extra cash to see how it goes before quitting your job, then you are more likely to be able to afford the risk of that business ultimately not succeeding. But what if you’ve lost your job, taken a package, and are looking for a business in which to invest the proceeds of your package? All of a sudden the risk of your new business failing looms very large indeed. Time to consider franchise opportunities that suits your budget? 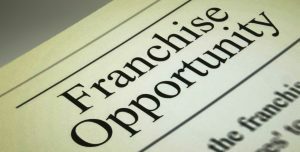 Simply put, franchising involves the owner of the business which is being franchised (“the franchisor”) granting to the person who wants to offer the products and services of the franchisor (“the franchisee”) rights to use its trademarks, business names, associated intellectual property, know-how, business systems, training systems and operating manuals in exchange for monetary payment in the form of an initial franchise fee/purchase price and/or ongoing royalty payments which are typically calculated as a percentage of the franchisee’s turnover. The franchisor has already done the work of establishing a system for the business being offered for franchise. This system provides you, the franchisee, with a roadmap to follow, hopefully to success. The franchisor has already tested and refined all aspects of the business and has created a “business success formula” for the franchisee to follow. This means that you are spared the trial and error of working out what works and what doesn’t and are therefore freed to focus on “working the system”, hopefully generating profits within a short period of time. The franchisor is likely to have invested in market research for the benefit of the group as a whole. This means the group has a much greater knowledge of their market(s) than does the local “independent” competitor. The results of this market research can be put to good use in the group’s advertising and marketing programs. Because you’re buying the rights to participate in a proven “system”, the franchisor will be concerned that all franchisees adhere to the system and not operate outside it. After all, if franchisees are free to adhere to the system or not as they see fit, there is no point in buying into a franchise at all. For this reason, for the benefit of the system as a whole, franchisors will generally impose strict controls on things such as the quality and types of products and services that you may offer for sale, the types of local advertising you may undertake, methods of dealing with customers, ethical conduct and the like. Although I’ve categorized this factor as a “negative”, it can equally be viewed as a positive. As a franchisee, you want to know that your franchisor is not going to allow its franchisees to damage the reputation of the system in which you’ve invested your hard-earned dollars. -> Comprehensive training systems for both your own management team and other employees. -> A relatively harmonious relationship between franchisor and franchisees. Some friction from time to time is inevitable in any long-term business relationship but a constant atmosphere of hostility, mistrust and long-running disputes can be a warning sign of an unstable system. On the other hand, if you’re looking at a franchise system of any significant size, a completely harmonious relationship between franchisor and franchisee can be a signal that the management of the franchisor is weak. Although a weak management team on the franchisor side may translate into short-term personal benefits for franchisees, in the long-term it undermines the stability and foundation of the franchise system itself and, ultimately, the value of your investment. -> Ethical business practices both by franchisor and existing franchisees. -> An inclusive “partnership” approach on the part of both franchisor and franchisees. This does not mean that the franchisor should not impose controls on the system but you should look for a spirit of goodwill and cooperation, willingness to listen to others’ ideas and a climate of open communication at all levels throughout the organization. -> Exclusive territories – although not crucial, exclusivity of territory (where the franchisor grants you a limited but exclusive territory which is yours alone) can in some cases be a relevant factor to the competitiveness of the business. It would be fair to say that it does not benefit the franchise system if franchisees are forced to compete with each other for limited business.